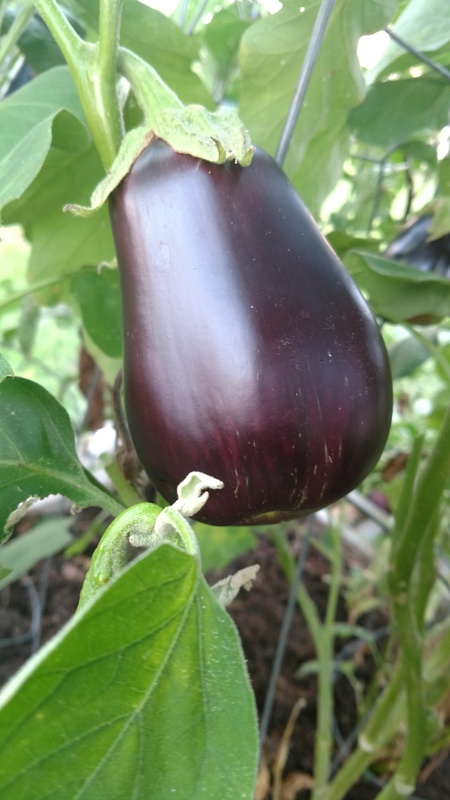 Eggplant — a Healthy Addition to You Garden and Your Diet! Eggplant produces well in summer heat, and adds a plethora of nutrients for a healthy diet. Although my sister prepares Eggplant continuously while it is available, it was only recently that I decided to try it. Wow, this is one veggie that you don’t know what you are missing until you try it! Even better is the fact that this remarkable veggie grows well in Texas heat! It is in the same plant family as the tomato, loaded with nutrition, and has enough flavor that it can be lightly salted (sea salt or Himalayan pink salt) and peppered with just a bit of olive oil, and grilled. I use only certified GMO varieties, with no addition of pesticides — just compost and mulch refreshed each Spring and Fall.